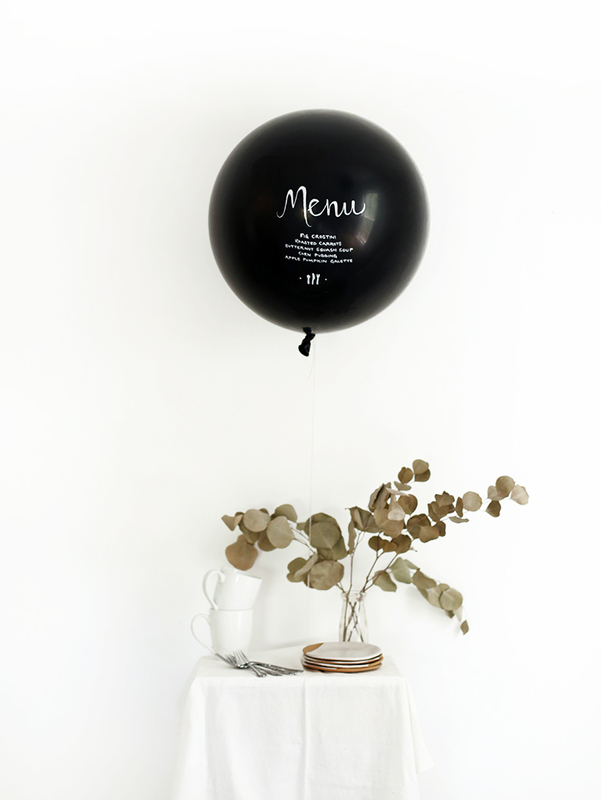 Blow up the balloon and attach the string. 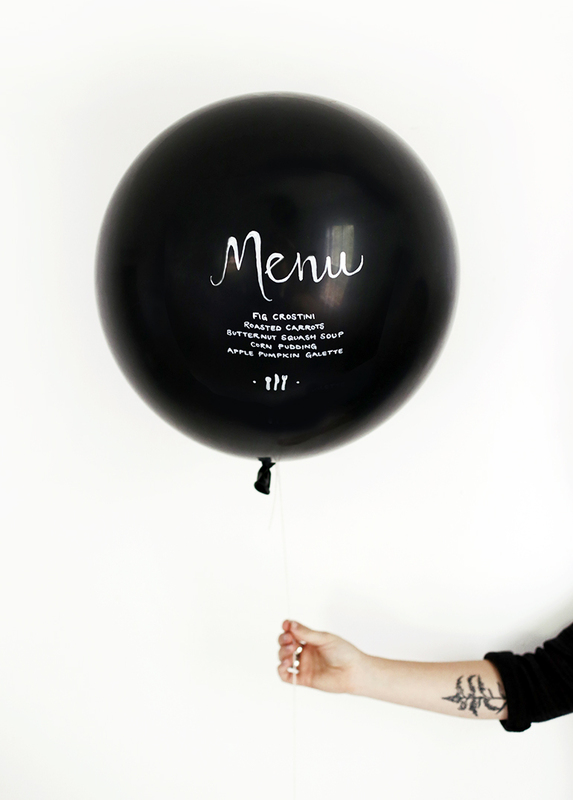 Use the paint pen to write the menu. 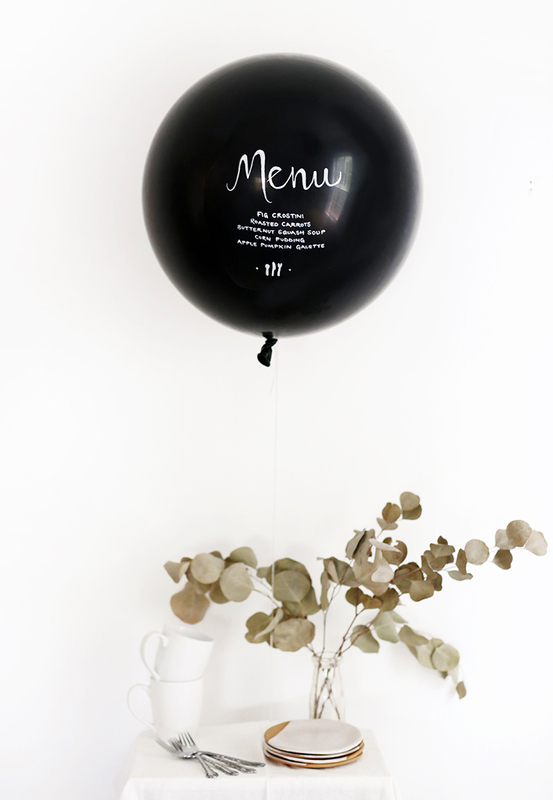 You can use washi tape across the balloon to help keep lines straight and spacing right while you write.